Listen to your music the way it was meant to be enjoyed with the Metro Multi-Function Music System. 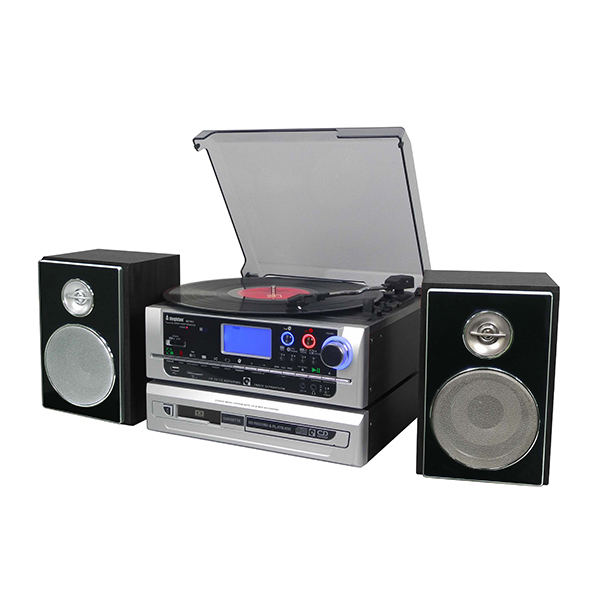 Designed with a turnable, radio, cassette and CD player, aux in/out, USB/SD inputs, MP3 to USB encoding and CD recording and copying system. It's a 6-in-1 music modular stereo hi-fi system that's absolutely jam-packed with features! 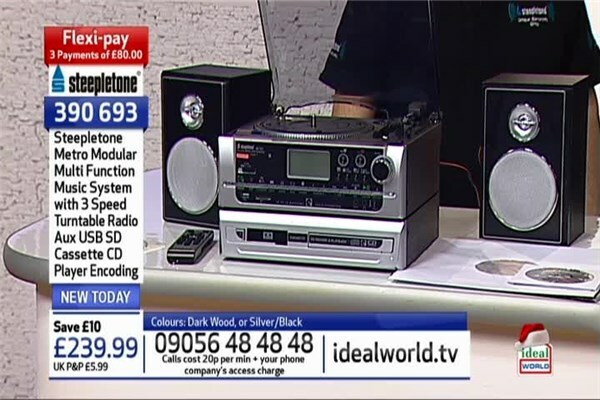 With the 3-speed ‘Pro-Deck’ style Turntable (33/45/78rpm) you can enjoy warm sound tone and quality, relive the golden oldies or expand your collection of hot new vinyl. Comes with pitch control, strobe illumination for parties and auto-stop switch. Then transfer your tunes to whatever format you require as the incredibly clever system records to MP3, USB or CD from vinyl, cassette, aux-in or other CDs, and enables you to separate your tracks for easy listening later on. Full MW/FM radio to stay up to date with the latest news and tunes. Removable modules allow you to customise your deck.